Well, that was a bit unexpected. 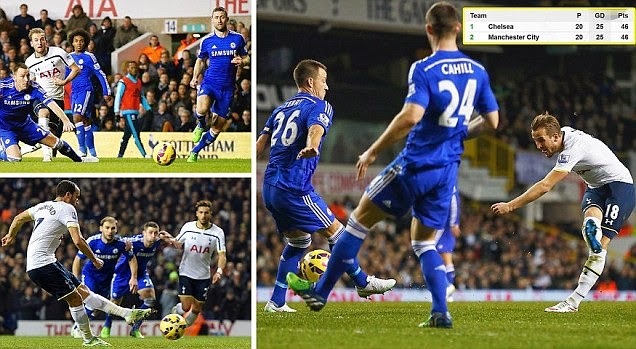 To see Chelsea lose against Tottenham was surprising enough. Yes Tottenham got five goals. Yes, five. Five past a Mourinho-mean defence. Five past John Terry and the man mountains surrounding him. Five past a team that seven days ago appeared to be in command of the Premier League, after back to back seasonal victories away at Stoke City and at home to West Ham United. Chelsea had the toughest Christmas programme but looked to be making mincemeat of it. Even the draw at Southampton was unfortunate.